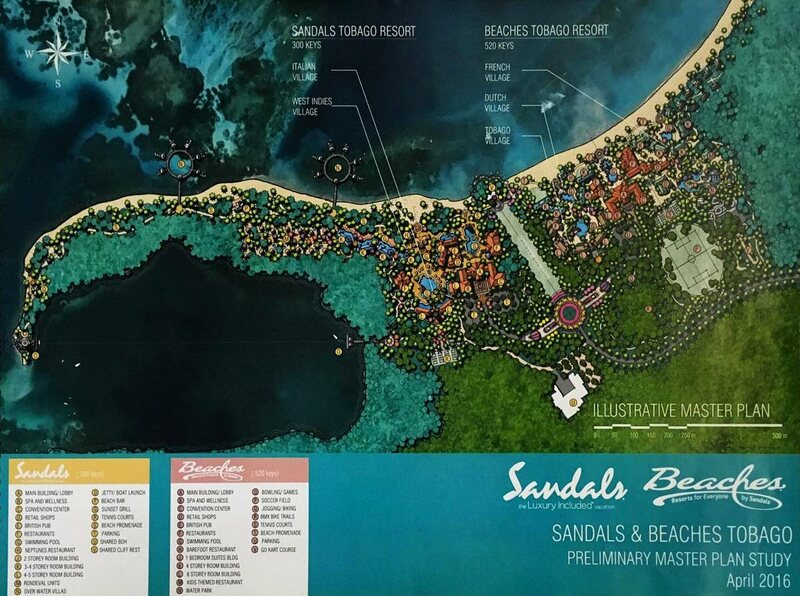 The Sandals Resorts International (SRI) Tobago project continued to make headlines in 2018 as the government, Sandals representatives and opponents of the plan sparred over the project’s details, as well as a non-binding memorandum of understanding signed on October 10, 2017 between the two parties. The MoU was signed by then Tourism Minister Shamfa Cudjoe and Donna A Delva on behalf of SRI. Imbert said the Sandals and Beaches resorts will be built at Buccoo/Golden Grove and “owned by the people of TT and its equity partners.” However, he said the hotel will be managed and operated by Sandals. The resort will have 500-750 rooms and up to 2,000 permanent employees. “The economic impact of Sandals will be substantial, including estimated income to the Government of US$80 million (TT$480 million) per year in taxes and other payments. “The project will add significant value to the tourism industry as we continue our drive towards sustainable economic development and diversification away from oil and gas,” Imbert said. However Imbert’s statements, which was delivered on October 1, did not comfort former president of the Joint Consultative Council Afra Raymond, who had requested the MoU through the Freedom of Information Act earlier in the year. He was not provided with the information, and took the State to court, alleging a secret deal existed between Sandals and the government. That statement was disputed by Sandals chairman Gordon "Butch" Stewart, who described the MoU as a “little MoU” and not a signed contract for the project. Addressing a conference with the TT media at the Sandals Barbados resort on October 27, he said: “Up until now we have a little MoU. “We have an understanding. The paperwork is being done. We will spec (sic) the hotel and we will tell them what we will like. We are working on a management agreement." Stewart said Sandals would not operate in an environment which was not transparent. "For me when there is a contract that is signed, if the Government does not want to share it, I can’t force them. "But I can assure you that I am not going to operate in an environment that is not transparent. "For me, there is nothing to get excited about, because it is just an understanding that we are going to work together towards having a contractual arrangement and to develop two hotels that we are going to spec. The Tobago project is expected to be the biggest ever undertaken by the resort group, as it will feature both the Sandals brand and its family-oriented Beaches brand. The Sandals resort is geared towards couples only, while Beaches caters to families. 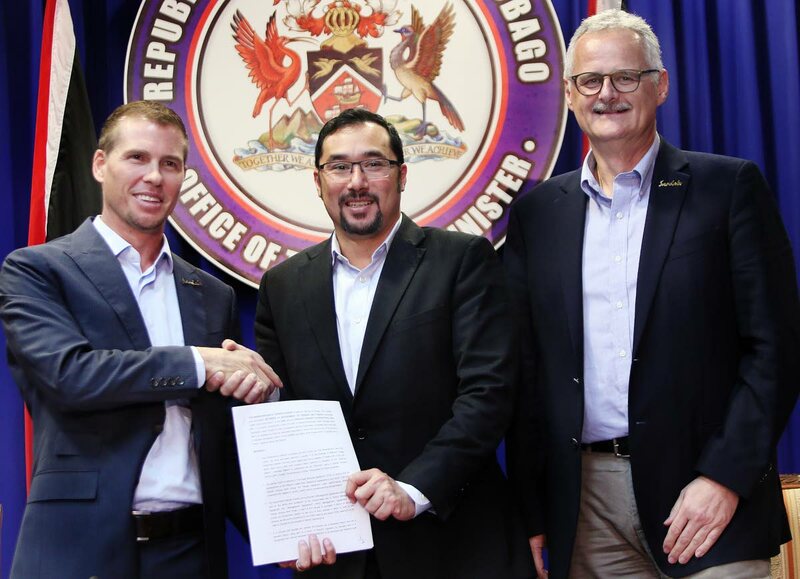 Raymond’s case was settled on November 30 in the High Court – the day after Communications Minister Stuart Young and Sandals deputy chairman Adam Stewart went public with the MoU. Young said the MoU is “not legally binding but it indicates the sincere intent of the parties to reach a legally binding agreement that incorporates these terms. He said the arrangement would be similar to the Trinidad Hyatt and Trinidad Hilton model, which had worked successfully over the years, and any government incentives offered to Sandals would be likewise extended to other Tobago hoteliers. Raymond also knocked the concept of transfer pricing, saying “There are clauses in the agreement that actually allows transfer pricing, and our Government signed that, and I think it’s wrong.” Raymond’s criticisms were addressed by THA chief secretary Kelvin Charles, who said the MoU is “not a legally binding document and leaves room for further discussions and negotiations before a final legally binding agreement is reached. “Every single item listed in the MoU will be open for discussion when the Government’s negotiating team meets with the Sandals team,” Charles said. As the year drew to a close, news stories in the US media cast a shadow over the Sandals chain by alleging guests had been assaulted by staff at the Jamaica resort and elsewhere. In a media release, SRI responded that its resorts are a “family-operated enterprise” which follow “strict protocols” on security at its 24-resort chain. “Our strict security protocols, infrastructure technology and collaboration with international law enforcement and government resources ensure we are among the safest resorts operating in the Caribbean. We follow strict protocols and continue to evolve our policies. Reply to "Uncertainty still surrounds Sandals"